Home For Patients Find a Provider Jeffrey Reynolds, M.D. Dr. Reynolds practices in our Branford, and North Haven offices. He is affiliated with Gaylord Hospital, Milford Hospital, St. Vincent’s Medical Center, Yale-New Haven Hospital’s York Street campus and Yale-New Haven Hospital Saint Raphael campus. 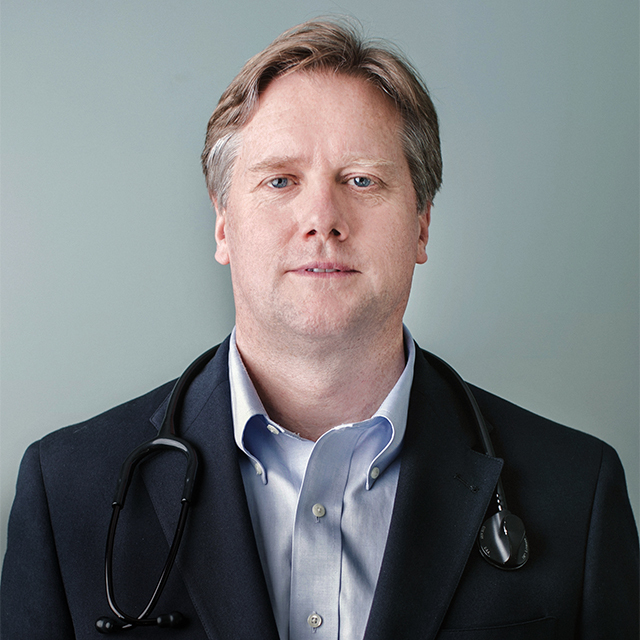 Jeffrey Reynolds has been practicing nephrology in the greater New Haven area since July 2003. He was one of the founding partners of Connecticut Kidney Center and PACT. He obtained his M.D. from Yale School of Medicine with honors, completed his traditional internal medicine residency at Yale-New Haven Hospital, and completed his nephrology fellowship at the Hospital of Saint Raphael in New Haven. He has engaged in research in the subject of glucocorticoid-remediable aldosteronism and daily hemodialysis. Yale School of Medicine, 1998, M.D. Harvard Business School, 1987, M.B.A.